So, 60 years ago today my (Sarah's) parents, Arthur and Rosalie, were married on May 17, 1958 in Chicago. Unfortunately my mother passed a few years ago, so we are missing her today, but on my days off, I keep my dad busy with nature walks and plenty of south suburban "Rat Pack" tribute shows. My mother made her own wedding dress...I have it...it is still just as beautiful. Happy Anniversary Mom and Dad! 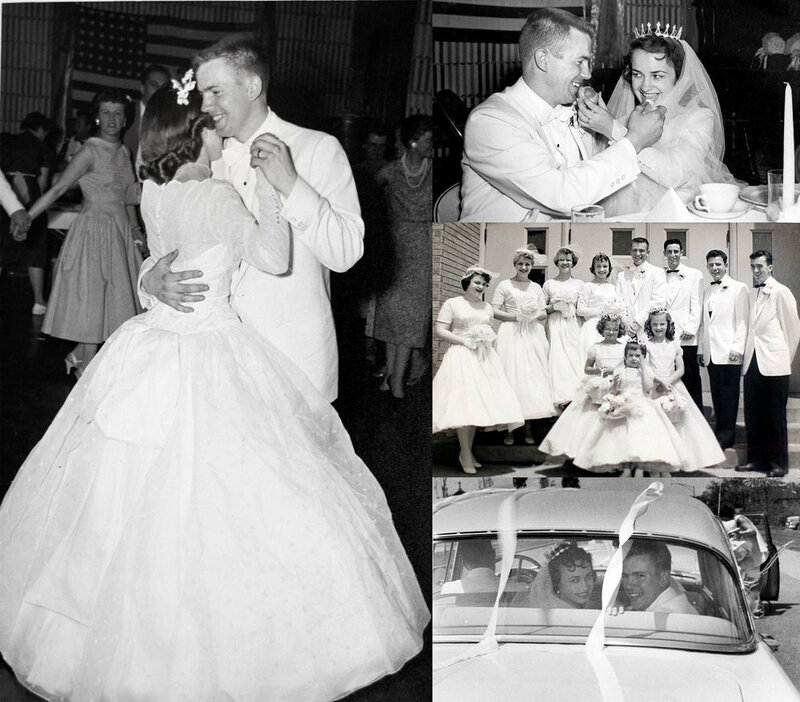 Rosalie and Arthur's wedding day - May 17, 1958 - Our Lady Gate of Heaven church, south side of Chicago.